Love for our work, respect for the land and for our territory. Quality, innovation, research of authentic values, not as a fashion of the moment but as a lifestyle that has always been with us. Love for our work, respect for the land and for our territory. Our today brings with it the values and recipes handed down from generation to generation. The goal, at the base of our every choice, is to create products of the highest quality and to protect the consumer. The quality is sought and achieved through the selection and use of the best fresh raw materials and the craftsmanship of the product. “The consumer is the point of arrival, the judge of all our actions, defending the consumer’s interest means protecting our work”. Our products do not contain GMOs, additives, preservatives nor hydrogenated fats. Not a single gram of palm oil has entered our production, even when this ingredient was commercially unknown. 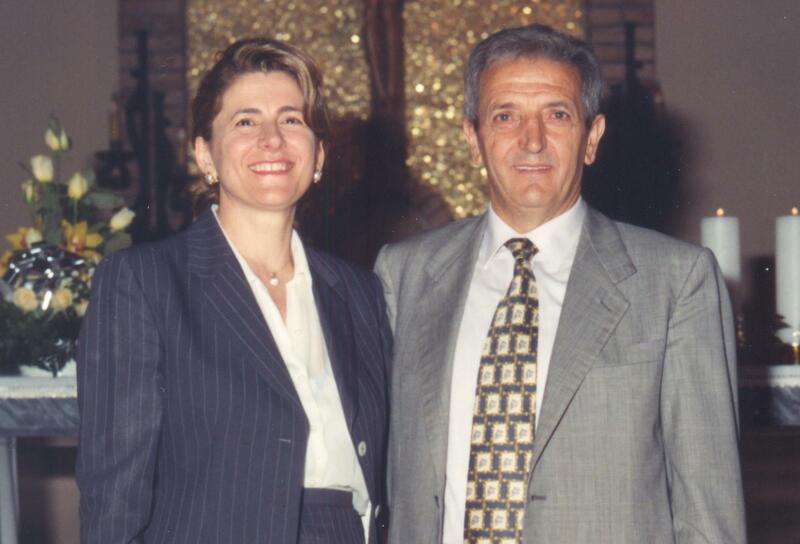 The PAN DUCALE company was founded in 1967 by the entrepreneurial skills of Pasquale D’Amario, the founder, born in San Giacomo di Atri (TE) in 1938. 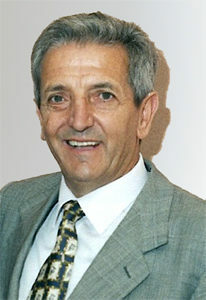 After doing several jobs, in 1966 he took over the management of the theater’s coffee bar in the main square of Atri. And it is from this bar, in the heart of the city of Atri, that history begins: Signora Filomena, mother of Pasquale, jealously guarded the recipe of the Pan Ducale, a typical dessert of the city and whose origin dates back to 1352, year the Dukes of Acquaviva arrived in Atri. Pasquale D’Amario, with the help of his mother and his wife Maria Rosaria, skilled pastry chef, begins to make the dessert cake: it was kneaded it in the back room of the bar, cooked in the oven of the village and then sold in the bar wrapped by hand . The success of his idea and the goodness of the dessert, pursuaded him to sell the bar to devote himself completely to the production of PAN DUCALE. Very early on Pasquale D’Amario bought a piece of land just outside the city walls, built a small workshop, and began selling the dessert even outside of Atri. 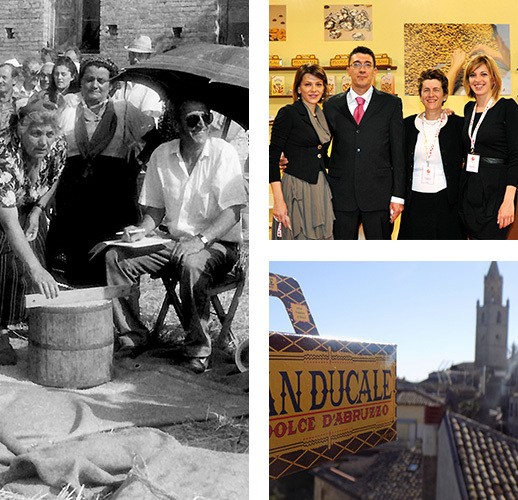 Thanks to hard work and a right intuition, the dream comes true: the Pan Ducale, a glorious recipe from the 1300s, that had been forgotten, returns to be the sweet symbol of the city of Atri and Abruzzo. Soon Pasquale D’Amario begins to produce other desserts and, to deal with the ever-increasing requests, calls to work with him different local ladies, expert hands, able to make desserts in the same way as they do at home. Pasquale D’Amario faces the International market with the strength of the locally created team and of the excellent recipes produced in the traditional way. “PAN DUCALE” becomes well-known, as well as a well-known brand on the International circuit. All our recipes are based with fresh eggs, almonds and chocolate of the highest quality. No GMO’s, additives, preservatives not hydrogenated fats. The flours used are only the best and are checked at each arrival in our analysis laboratory. Our products do not use GMOs, additives, preservatives nor hydrogenated fats. During the packaging phase, maximum attention is paid to temperature: the product is packaged only when, through electronic meters, it is certain that it cannot be affected by temperature changes or humidity. The raw materials are carefully selected so that only the best ingredients are used in our desserts. All our recipes are based with fresh eggs and almonds and chocolate of the highest quality. During the processing of the product the almonds undergo a double check: the first mechanical and the second manual, to ensure that only the best almonds are used. The computerized weighing and dosing system prevents errors in recipe preparation. 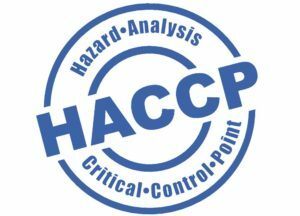 All stages of the production process are managed in compliance with the requirements set by the HACCP method, which aims to prevent the dangers of contamination of processed food products, processed or distributed by the company, to ensure safety and hygiene and finally to protect the consumer’s health. 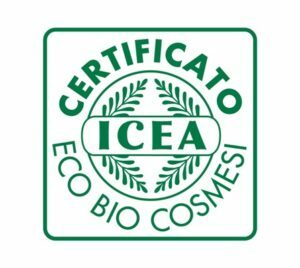 PAN DUCALE voluntarily submits to the English certification process and is recognized worldwide as a standard guaranteeing a high level of food safety. The BIO products of PAN DUCALE adopts the production method in accordance with the provisions of Reg. CE 834/07 and 889/08, and is certified by the INSTITUTE for ETHICAL and ENVIRONMENTAL CERTIFICATION (ICEA). Love for our work, respect for the land and our territory. Our today brings with it the values and recipes handed down from generation to generation.